“When I looked at the science of engineering and saw that it had disappeared after its ancient heritage, that its masters have perished, and that their memories are now forgotten, I worked my wits and thoughts in secrecy about philosophical shapes and figures, which could move the mind, with effort, from nothingness to being and from idleness to motion. And I arranged these shapes one by one in drawings and explained them". The Book of Secrets in the Results of Ideas is conserved in the Biblioteca Medicea Laurenziana of Florence and was completed in 1266. 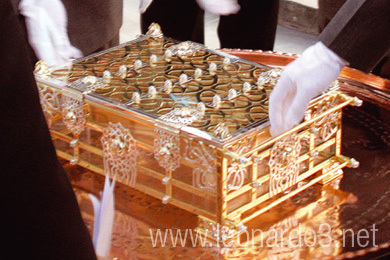 The date is written on the last page, 48v, which also states the title of the book “Kitab al-Asrar fi Nataij al-Afkar”. The title is also mentioned on top of the first page, but part of it is damaged (most of the right side of the manuscript is missing and was later restored, but some segments of the texts and drawings have been lost). The author is mentioned on the first page as [Ahmad] ibn Khalaf al-Muradi, presumably an engineer of Islamic Andalusia. The references of the text suggest that the original manuscript was written in Cordoba which was the capital of Muslim Spain for almost three hundred years. 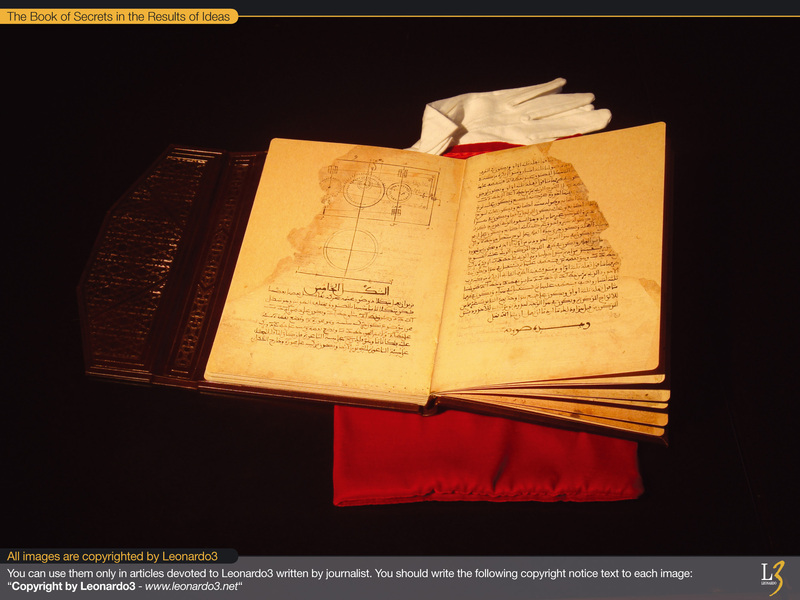 The manuscript contains 48 folios (96 pages 273 x 200 mm or 10.62 x 7.87 inches) and is written in a clear Maghribi handwriting. There is no punctuation, except for rare occasions in which the transcriber inserted a point at the end of a chapter or a main section (for example, at the end of the introduction on page 1v). The manuscript is gathered with seven other treatises and the whole volume is catalogued under Orientale 152 in the Biblioteca Medicea Laurenziana. It was assembled in this form in the second half of the 18th century under the supervision of the librarian Angelo Maria Bandini who united the manuscripts Orientali 281 and 282 because they had an analogous format. IOf the eight treatises contained in the volume, The Book of Secrets is doubtless the most important one, because of both its contents and illustrative drawings. The whole manuscript was catalogued under the name Tabulae Astronomicae and its discovery as a treatise dedicated to machines dates back only to October 1974, thanks to David A. King, the famous professor of history of science, who immediately made its existence known to professor Donald R. Hill (1922-1994), the distinguished historian of medieval Islamic science and the translator of the treatises of al-Jazari and the Banu Musa brothers. In fact, Assemani’s catalog had already identified the manuscript back in the 18th century as “a treatise in mechanics entitled The Book of Mysteries and containing 34 figures”. 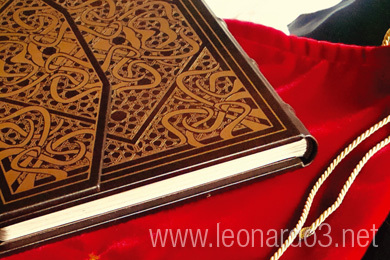 The history of the manuscript’s journey from Spain to Italy has not been reconstructed yet. Perhaps it followed the journey of other Arab writings that joined the collections of the Biblioteca Medicea Laurenziana. In 1584, by the order of Pope Gregory XIII and Cardinal Ferdinando de’ Medici, the Medicea Oriental Printing House was inaugurated in piazza Monte d’Oro in Rome. The aim was to publish Oriental books and it was necessary to gather manuscripts beforehand in order to publish them. This search mission was put into the hands of the two brothers, Giovanni Battista and Gerolamo Vecchietti, who started their voyages to Egypt, Syria, Persia and India in this aim. 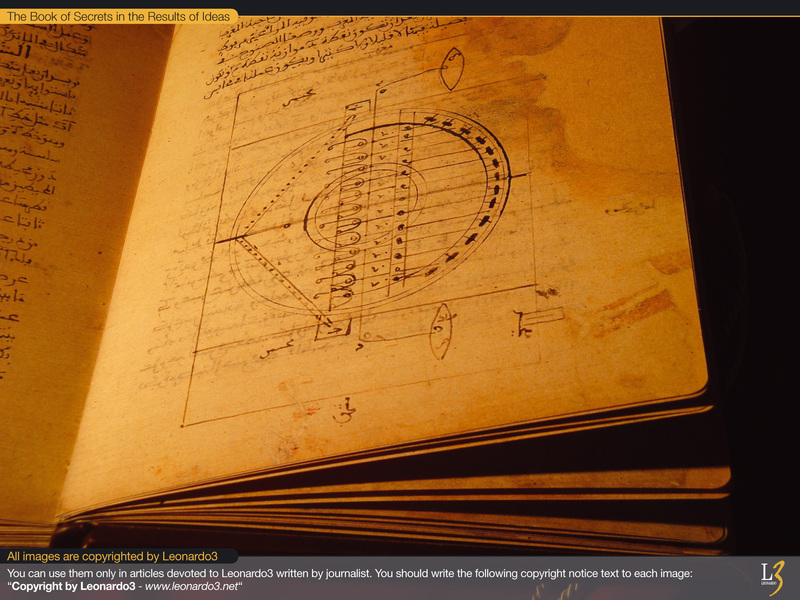 The Book of Secrets is an extraordinarily important manuscript in the field of the history of science, because it represents one of the earliest written and drawn testimonies about complex ancient machines and has never before been studied or divulged. 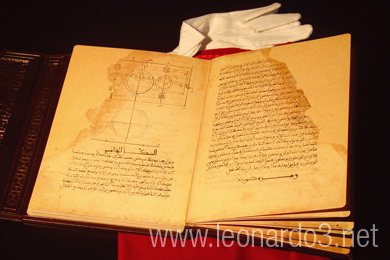 The research project was sparked by Leonardo3’s discovery of this important Arab manuscript, The Book of Secrets in the Results of Ideas, in the Biblioteca Medicea Laurenziana in Florence, where the only surviving copy is preserved. It has never before been fully studied or disclosed in all its complexity. 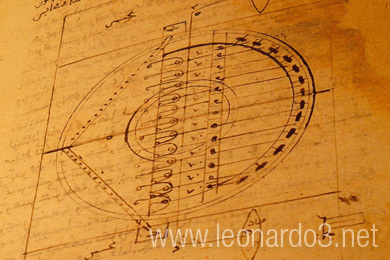 It is a unique source for the study of ancient Arab technology, to which reference must be made when studying the inventions of the Renaissance, like those by Leonardo da Vinci. 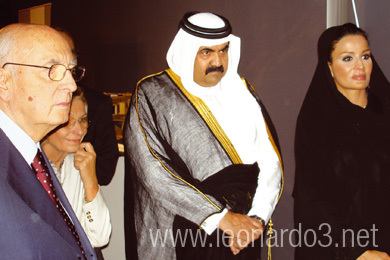 Thanks to the auspices of the Emir of Qatar, His Highness the Emir Sheikh Hamad bin Khalifa Al Thani, and the competence of the Italian research center Leonardo3, the manuscript has, for the first time ever, been transcribed (in Arabic) and translated (into Italian, English and French), and all its machines have been interpreted and reconstructed. 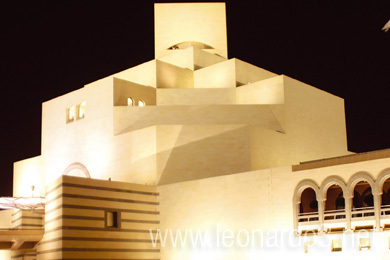 All the work that has been carried out on the manuscript was presented in an exhibition at the Museum of Islamic Art in Doha and was one of the main attractions at the museum’s inauguration on November 22, 2008. A one-of-a-kind manuscript is preserved in the Laurentian Library in Florence: the copy of an 11th-century text completed in 1266 and containing designs for 31 extraordinary machines including water-clocks, mechanical “theaters” and war instruments. 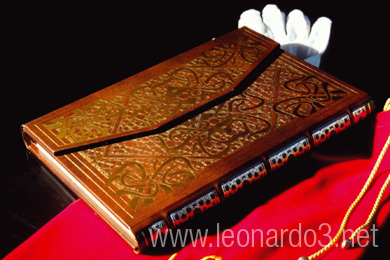 A reproduction of the manuscript has been produced for the first time in history and is available in a limited edition of 200 hand-numbered copies, 100 of which have already been consigned to various heads of state and dignitaries around the world. A reproduction of the manuscript has been produced for the first time in history and is available in a limited edition of 200 hand-numbered copies whose detail is exactly the same as the original manuscript, using super high resolution photographs made directly from the original. 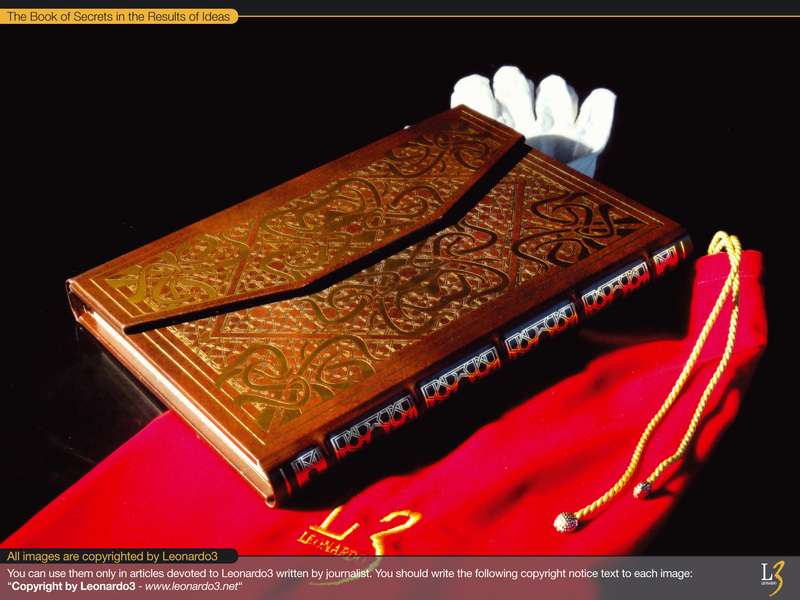 A red velvet bag contains: the exclusive, 96-page facsimile, bound in leather, with golden decorations and numbered by hand; certification of limited-edition status; and gloves for consultation. 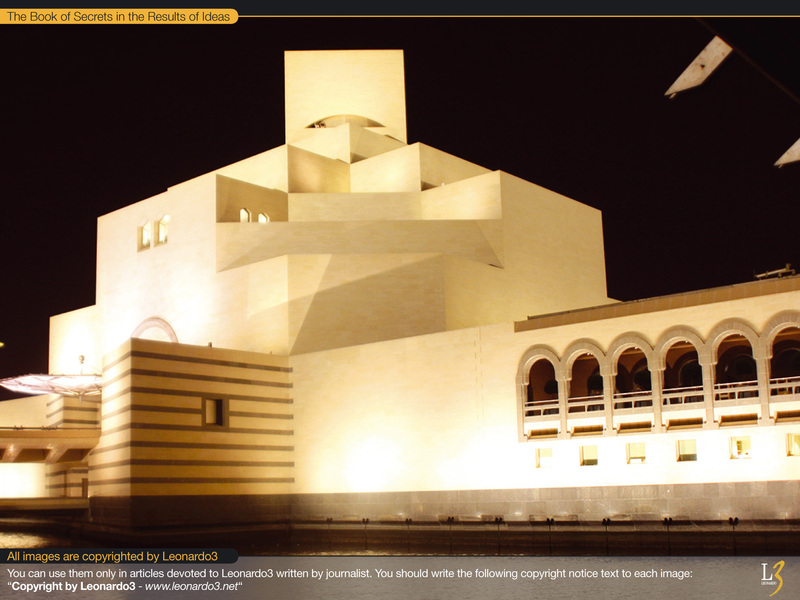 A separate booklet with the entire Arabic text, as well as textual and image-based interpretations of all the machines, is also provided in either Italian and French or English and Arabic. 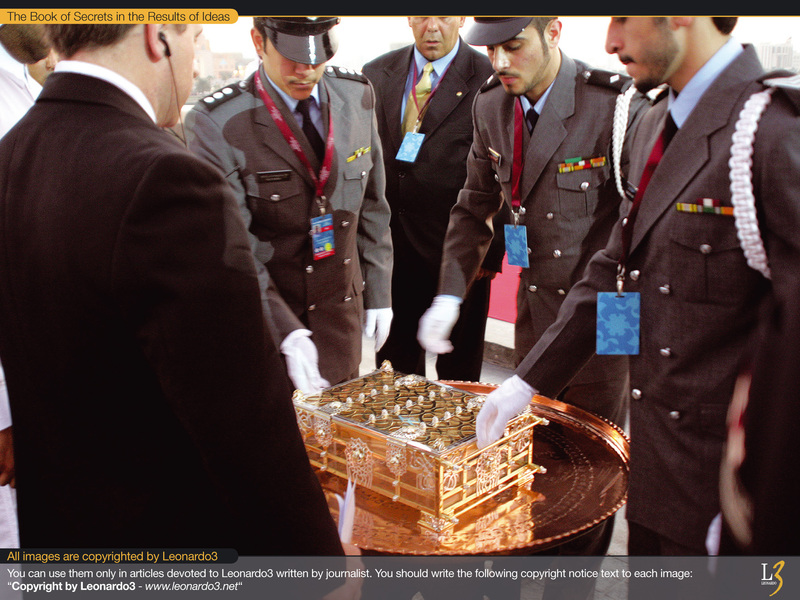 200 numbered copies, 100 of which have already been consigned to various heads of state and dignitaries around the world. The original source, the text of the manuscript, which was our point of departure, presents various problems. First of all, all the pages are damaged to a great extent along the main diagonal. The manuscript deteriorated because of humidity which distorted many segments of its text and the drawings. This required the patient interpretation of the missing parts, according to specific logical and interpretative rules, which definitely cannot avoid errors altogether. I do not exclude the possibility that during the drafting phase of the original text, from which this copy was made, several models of the machines, not necessarily the definitive ones, were presented to the author. I found this conviction on the grounds of the impossibility of designing and describing such complex machines without the attempt of constructing them and perfecting certain technical details, which otherwise would not be feasible. It is, therefore, possible that al-Muradi observed these complex machines himself and saw their drawings (at least quick and unordered sketches of them) in his difficult attempt to reorganize them, draw diagrams and write descriptive texts. It is worth noting that the text of the manuscript is very organized and is not in any way a series of point or notes, but a final treatise meant to circulate. The technology we used served us a lot: the 3D animations of the machines helped us verify, on the one hand, what is actually mechanically possible and, on the other hand, what contains errors. All the interpretations of the machines presented in the coming pages were carried out thanks to tridimensional graphics which made them more easily comprehensible. However, our several-year experience in ancient machines taught us that the suggested reconstructive and interpretative solutions are rarely definitive. In fact, the extreme complexity of these machines and, sometimes, the scarcity and imprecision of the available information, both in the texts and in the drawings, leave room for future modifications, improvements and even full revisions of the project.